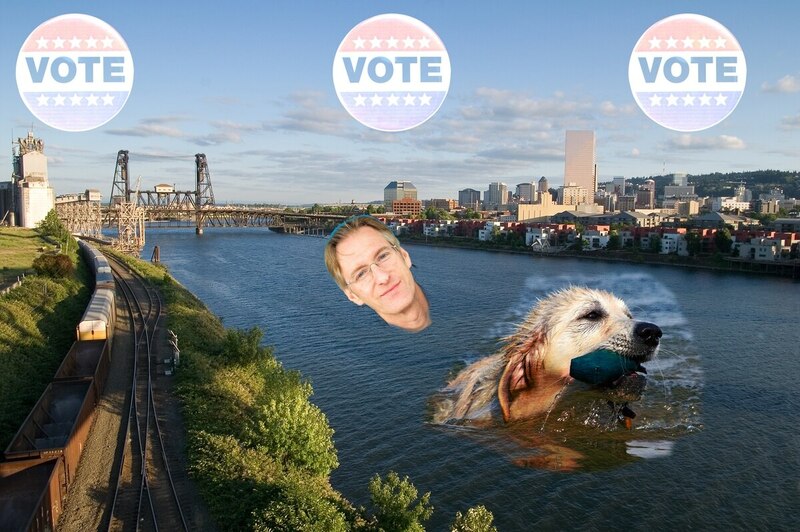 In an extreme Portland ballot day stunt, Ted Wheeler is planning to "triathlon his ballot to Pioneer Square," according to his campaign communications director, Annie Ellison. "Ted runs triathlons," said Ellison over the phone about what they are tentatively calling "Ted Tri's to Vote." The Portland tri will start at the dock on the Eastbank Esplanade, where Wheeler will join The River Hugger Swim Team for his swim. "He will be accompanied by seven River Huggers, and Mojo the swim dog," said Willie Levenson of the Human Access Project. Levenson's group promotes beaches and access along the Willamette River. "Ted approached us, said he wanted to join us for a swim," said Levenson. "He's climbed Mount Everest," Levenson added. Levenson says this is an important step forward for urban beaches. "We're making headway," he said. 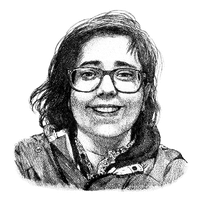 "In the next five years, we will see significant change." For the Wheeler campaign, it's also about having fun and enjoying what is supposed to be a 90-degree sunny Friday. "It's a really Portland way of dropping off your ballot," said Ellison. The swim, which will be followed by a bike ride back across the river to the Esplanade and then a walk/run to Pioneer Courthouse Square, starts at 2:30 pm on Friday, May 13. Pro tip: Bring your dry bag for that ballot! The deadline to drop off your ballot is Tuesday, May 17, at 8 pm.